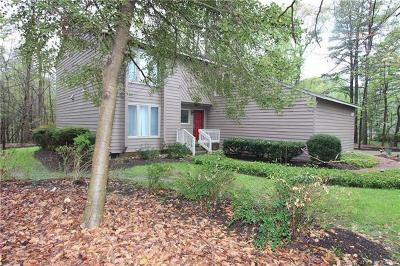 Kingsmill - YARD MAINTENANCE INCLUDED! Four bedrooms plus bonus room. Two full baths, one half bath, 2,373 sq. ft., attached two-car garage. Conveniently located within gated neighborhood close to grocery, restaurants, banks, gas station, and more. Tenants will have access to three Kingsmill Recreation Centers - one across the street - with pools, tennis courts, playgrounds, picnic areas. Adjacent to four-mile paved biking, walking, jogging trail. Twelve-month minimum lease. Pets must be approved by owner. Tenant will have use of owner's Social Membership at Kingsmill Resort through October, 2019. Application Fee Desc: "earnest Money"